To support the Kids Cooking Green and Power Packs program. Waltham Boys and Girls Club's mission to inspire and enable all young people, but especially those who need support the most, to realize their full potential as productive, responsible and caring citizens. Today the Club serves 6,800 kids through its wide ranging programs, including an after school program, a nationally recognized and supported STEM program called Club Tech, a teen program, a sports and fitness program, a music studio, an aquatics program, and a summer camp. 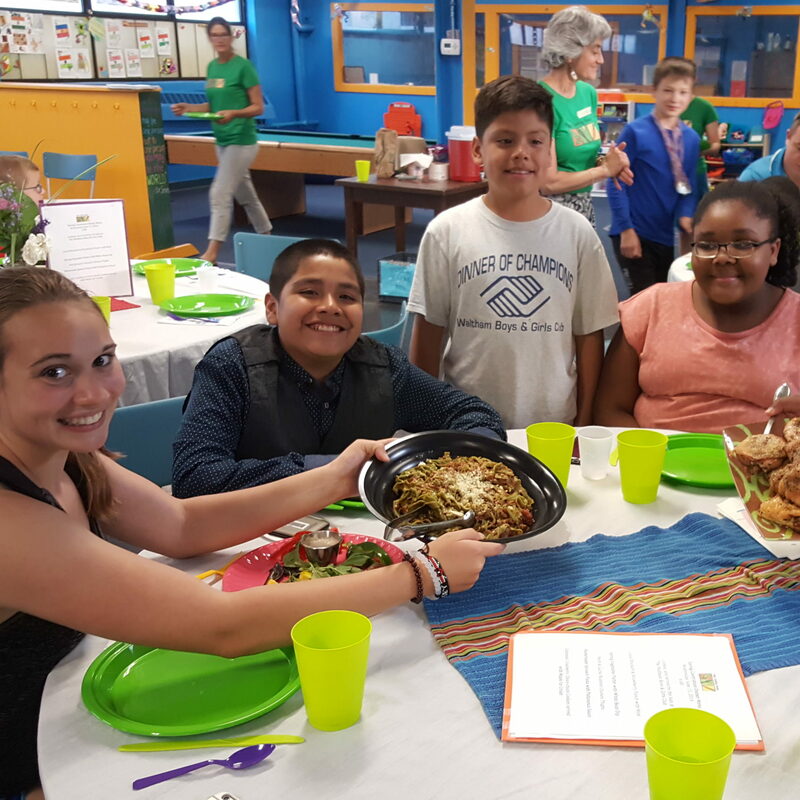 The Waltham Boys & Girls Club Food Program, “Club Café” has been serving a crucial need in the community by addressing both food scarcity and educating youth on how to prepare nutritious meals on a budget. The Food Programs at the Club include an afterschool and summer meal program, a “Healthy Waltham: Healthy Cooking Program”, and a new Kids Cooking Green Program, and a Power Packs program that provides food for kids to take home over the weekend and holidays when schools and the Club are closed.